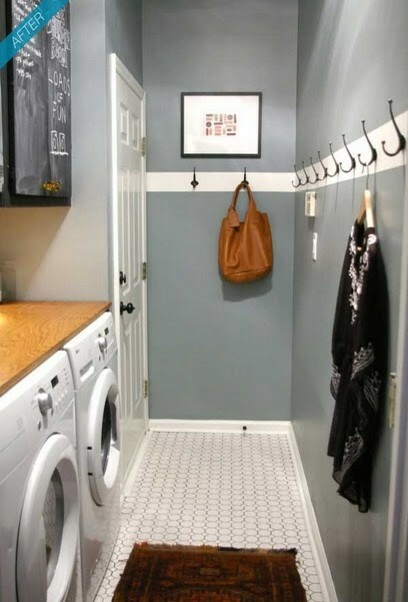 So I’m working at getting back into the swing of things around here and I’m going to kick it off with a little laundry room inspiration ideas. If you remember waaaaaay back when I talked about my home goals for this year, making over the laundry room was definitely on the list. I spent some time this weekend looking for some ideas on what I’d like to do with the space we have and here are some of my favs! 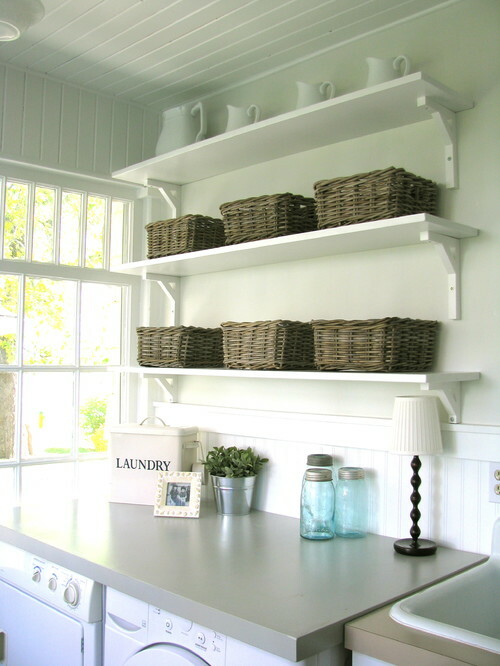 I love the open shelves and baskets in this laundry room. Definitely thinking I may incorporate something like this in our home. More beadboard and love the light! Definitely planning to add some hooks in the room to hang clothes. Right now they hang over the washer and dryer and that’s just not working out too well. Love the organization with this idea! 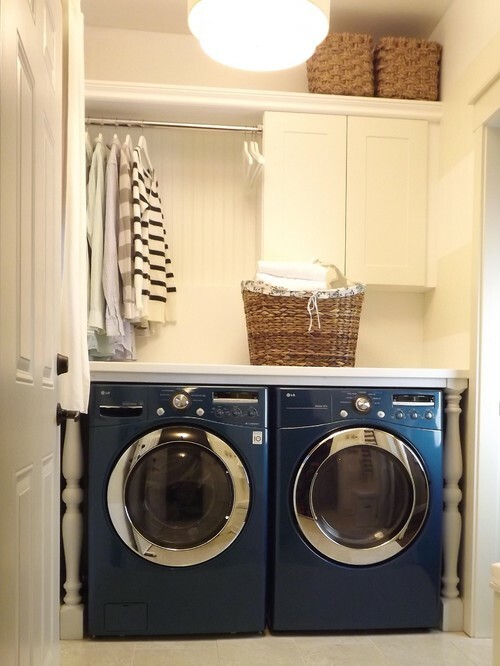 And there’s no way I could do a round up of my favorite laundry rooms without including this fabulous room from View Along The Way! 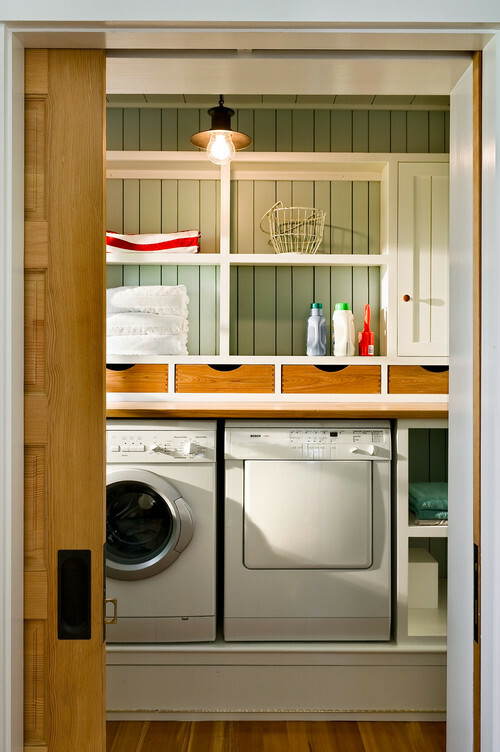 So many great ideas and inspiration out there for updating your laundry room! Which one is your favorite?? 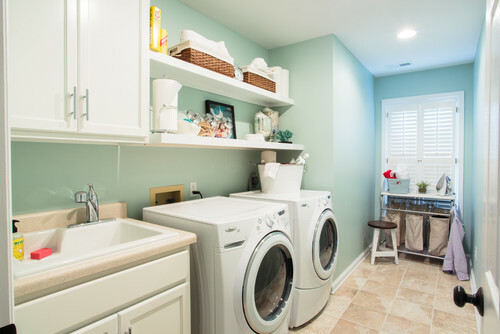 If you’re searching for even more ideas, you can check out my Laundry Room Inspiration Board at Pinterest! I keep finding more and more to add and can’t wait to get started on making over this room. You know I’ll keep you updated every step of the way! Wow. I love them all. I would kill to have any of them. Well, maybe not kill, because really, who likes doing laundry that much! Great post Ellora. You and me both Kathleen! I can’t wait to at least make a least a more enjoyable space to do a not so enjoyable chore! haha!! Thanks so much Kathleen for commenting! Hi, Ellora!! I am sorry about your baby! If she is running around I imagine she is fast on the road to recovery? You must have been so worried. Awww, thank you Ellora! It is hard to do it all, right? 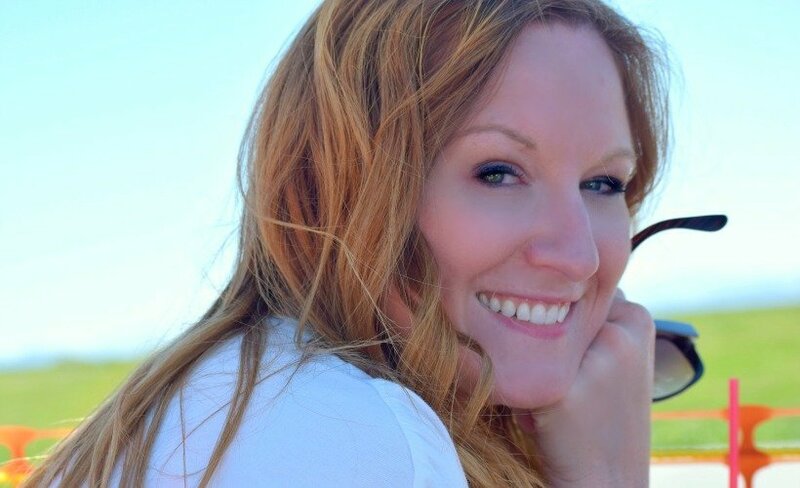 I have not written often like I wanted to, I need to go back to my beloved blog…. Take care of yourself and your little girl! For sure it will be better when she heals her arm! It will make all the rest seem like a “breeze” for a while, lol! This post is so beautiful! I used to have a spacious laundry room and mine is pretty small now (closet style), which was such a dumb move from the previous owners since this is a fairly big house. I miss having a BIG laundry room, with plenty of storage. 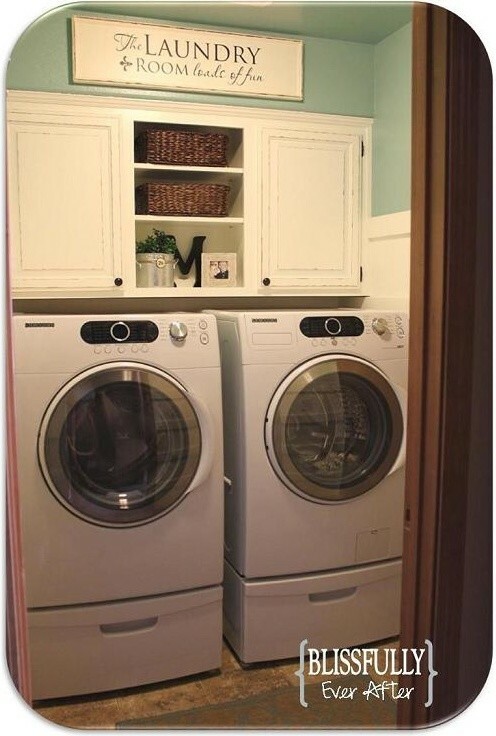 These are great laundry rooms… I would be happy w/ any of them! Oh, I hope your daughter feel better soon. I know how hard it is to have a kid not feeling 100%… I will pray for her. Thank you for the link, Ellora. I appreciate it. Thank you Luciane! We have an average size laundry room with terrible lighting might I add, so I can’t wait to do some makeover stuff in there. I would LOVE to have a bigger room for storage! Thanks for the prayers for the little girl! She actually gets the cast off this Friday if everything has gone well! Been a long 4 weeks! !